If you’re honest, your answer to this question probably maps to your belief status. After all, most of us like to think we’re on the side of the elves, not the orcs– that we and our kind are making the world better. In the absence of clear evidence, the religious and the nonreligious both believe this. Every once in a while, though, we actually get a bit of data to mull over, and last week some interesting research hit the press. One of the oft touted benefits of religion is that it eases our dying. Surprise: According to a study published in the Journal of the American Medical Association, "Terminally ill cancer patients who drew comfort from religion were far more likely to seek aggressive, life-prolonging care in the week before they died than were less religious patients and far more likely to want doctors to do everything possible to keep them alive." Religious patients were less likely than secular patients to sign do not resuscitate orders or to create living wills. They were more likely to want ventilators to keep them breathing till the bitter end. They got more ICU care. 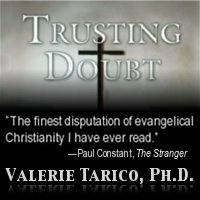 Doctor Holly G. Prigerson, an author on the study, offers a very benign explanation for this pattern: "To religious people, life is sacred and sanctified," Dr. Prigerson said, "and there’s a sense they feel it’s their duty and obligation to stay alive as long as possible." Even for themselves, they may have gained little. The measures used to prolong the dying process often are associated with suffering and pain above and beyond that caused by the terminal illness itself—leaving a person with little capacity to experience a few more hours or days to experience that which we cherish in life. The fact that devout patients more often failed to take preparatory steps like living wills and advanced care planning gives us a clue. It suggests that they were avoidant–coping with the dying process in part by not thinking about it. As a coping mechanism, avoiding works really well in some ways and not so well in others. It can shut out a host of negative emotions, but it also can get in the way of doing what needs doing, on a practical level or an emotional level or both. Then, if an avoided reality breaks through, you’re not ready. Think, for example, about how you avoided studying for exams. We are made to be scared of dying–to fight for life and as the poet Dylan Thomas put it to "rage against the dying of the light." Nonreligious people have to face this head on. They have to wrap their brains around the idea of non-existence, which frankly is rather hard to grok. Emotionally it raises not only fear but anger, confusion and grief. Religion offers a shortcut. Death isn’t really death. It is a transition to the next phase of life. In Christianity, when you die you retain your personal identity and memories. You become either a perfected or perfectly tormented version of yourself. For the Christian believers in the study, this is what their religion teaches, and as believers they expect to be perfected, not tormented. But very few people believe in heaven or hell the same way they believe in the floor beneath their feet. If they did, as Christian philosopher Ken Himma has pointed out, it would be unconscionable for them to have children and risk the latter. This week a devout airline pilot was convicted of manslaughter, because, in the face of potential disaster he handed off controls to a copilot and began praying. (Sixteen people died.) Cases of this type are mercifully rare; if they weren’t, the devout would not be entrusted with planes. Faced with the prospect of fiery death, usually prayer isn’t quite as trusted as the control panel. That is my best guess about what is going on with those cancer patients. Correlation is not causation, and let me caution that my clinical hunch may be quite wrong. Religion may increase other feelings that make people want to prolong the dying process. Fear of death may increase religiosity. Some other factor may contribute to both. Given the social costs, these questions seem worth exploring. As a society, it is becoming more and more clear that collectively we have to make some hard choices about medical care. We have been living high on the borrowed hog, pretending that we can have it all. But in a world where economic theory meets reality, unlimited access to aggressive life prolonging technologies has an opportunity cost. The tradeoff is less healthy children and young adults because of money not spent on simple preventive measures and early interventions. Will religion help us make these decisions in the most moral way possible? (Our wisdom traditions, both religious and secular, do archive the best ethical thinking of our ancestors.) Or– will the yearning for eternity make it harder to tend the precious fragile lives that are sacred to all of us here on earth?